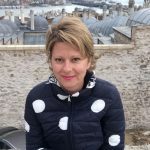 Dr Leah Burns is a Senior lecturer at Griffith University, Queensland: an Environmental Anthropologist who specialises in human interactions with nature. Director of Ecolodges Indonesia, owner/operator of lodges located near protected areas in Sumatra, Kalimantan and Flores which contribute to a range of wildlife conservation, rehabilitation and responsible presentation activities. Director of Binna Burra Lodge and Lamington Natural History Association in the Lamington National Park, Australia. 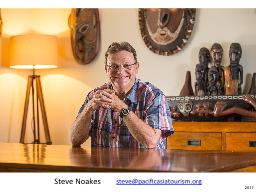 Director of Pacific Asia Tourism which undertakes a variety of sustainable tourism projects involving wildlife interactions across Asia and the Pacific. Heroic Tourism is the brainchild of Jessie Panazzolo following her research of two Black Lemur populations in the rainforests of Nosy Be island and Nosy Komba Lemur Park, Madagascar. Compared to the wild lemurs, the tourist exposed lemurs were obese, diabetic, aggressive and had patches of missing fur. Their diet consisted mainly of sugar rich bananas and they constantly came into contact with people wearing insect repellent and suffering various illnesses.The other side of the story is that 90% of Madagascar’s rainforests had been destroyed by the establishment of agricultural plantations, leaving wildlife tourism ventures such as those involving lemurs as the only reason for protecting the remaining forest. Tourists were coming from far and wide to see Madagascar’s unique forests and the wildlife that lives within them, but at the same time, tourism was harming Madagascan flora and fauna. Jessie believed that ethical tourism practices and informed travellers could; contribute to a global conservation effort carried out by tourists to protect natural environments and wildlife, place positive pressure on tourism ventures in order to mainstream ethical practices and phase out unethical tourism ventures through reduced demand. From these ideologies, Heroic Tourism was born. Leisure Solutions® was established in 1993 and became an early member of Ecotourism Australia Ltd. Managing Partner Angus M Robinson and his wife Jeanette are leaders in the growing ecotourism and geotourism sectors, introducing ecotourism operators to the concept of philanthropy as a key element of ecotourism and enabling travellers enjoying ecotourism products to be able to contribute to the work of wildlife conservation. As sponsors of The Conservation Ecology Centre at Cape Otway in Victoria, they have an ongoing commitment to conservation of wildlife and their habitats. Leisure Solutions® has previously funded wildlife conservation projects (Eastern Quolls and Koalas) managed by the Foundation for National Parks and Wildlife of which Angus is currently a Governor. I am Dinesha Senarathna, a Geography Lecturer at the University of Kelaniya, Sri Lanka. Currently, I am a Ph.D. student at the Auckland University of Technology, New Zealand. My Doctoral thesis topic is “Managing wildlife tourism for sustainable economic development: the case of Yala national park, Sri Lanka.” Apart from this Ph.D. research, I am working as a Research Assistant at the New Zealand Tourism Research Institute (NZTRI) and Cassual Lecturer at the School of Hospitality in the Auckland University of Technology, New Zealand. My previous research projects for Postgraduate Diploma was on “Impact of community forest management for rural development in Kandahena, Sri Lanka” and Master’s Degree was on “Responsible nature based tourism: Rotorua Canopy Tours in New Zealand.” Nature, forest and wildlife consumption for tourism activities and related benefits for the local community is my favorite area of research. After completion of my doctoral degree, I wish to serve back to my country by teaching and guiding my students to research on wildlife tourism and its sustainability. Southern Flora offers one to three day personal guided bird and wildflower tours across a wide range of landscapes in the south-west of Western Australia. The new owner-operated small business, managed by Dr Erica Shedley, is based in Bridgetown about 3 hours drive south of Perth. Southern Flora bird tours provide interesting ecological and botanical information about the habitats in which the birds live, based on years of living and working closely with the local environment. Erica also works as a local bird guide for Australia Naturally Travel and Birding South West in the south-west for international tourists. Margarita Steinhardt is a freelance travel writer and photographer. Her background is in wildlife conservation and her writing focuses on wildlife watching experiences and destinations. Margarita’s stories and images appeared in the Sunday Telegraph, the Sun Herald, Unearth Women Magazine, Matador Network, Frommer’s and other publications. Margarita’s blog, The Wildlife Diaries is a collection of travel stories, field notes, trip reports and images that promote ethical wildlife tourism in Australia and abroad. My name is Rie Usui. I am a doctoral student at Hiroshima University in Japan. I conduct research at Miyajima Island, a tourism site where free-ranging Japanese sika deer have close associations with humans. My research interests are studying human and non-human animal (NHA) interrelationships as well as wildlife conservation, management and welfare. For my current research at Miyajima, I conduct behavioral observations of the deer and tourists. Also, I analyze historical records related to human and deer relationships in order to establish effective management strategies. I received a M.S. in Primate Behavior and Ecology from Central Washington University. For my master’s thesis, I conducted research at a monkey park in China and studied the roles of park rangers in regulating tourist behaviors and management of the monkeys.